These local and international men and women live to express their art on the streets of our cities. You’ll find their work everywhere in Cape Town. In the CBD, from Bo Kaap to Woodstock and Salt River; and the suburbs and townships, in Langa, Khayelitsha Hout Bay and Mitchells Plain. The Cape Town-graffiti artist's work features the faces of public figures like Brenda Fassie, Hugh Masekela, Temba Bavuma and Bob Marley. This piece, in particular, is in Langa. 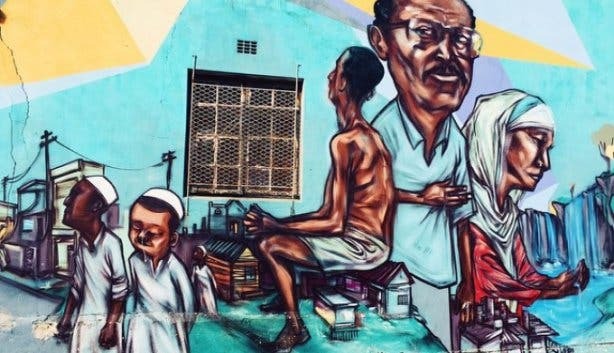 The Cape Town-based artist created this mural as a response to the misconceptions about people living in the Cape Flats and townships and to promote positivity in the youth. This mural is found in Hangberg, Hout Bay. This international street artist makes her pieces interactive, allowing viewers to become a part of her work and creating a community through social media with the hashtag #WhatLiftsYou. This artwork is at the Old Biscuit Mill in Woodstock. 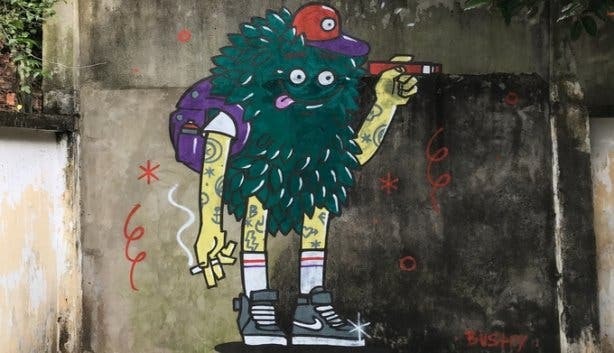 Local artist Falko, who sees graffiti as a social tool, is considered the pioneer of graffiti in the country. His iconic elephants can be seen around Cape Town from the CBD to the Cape Flats and all the way to Muizenberg. 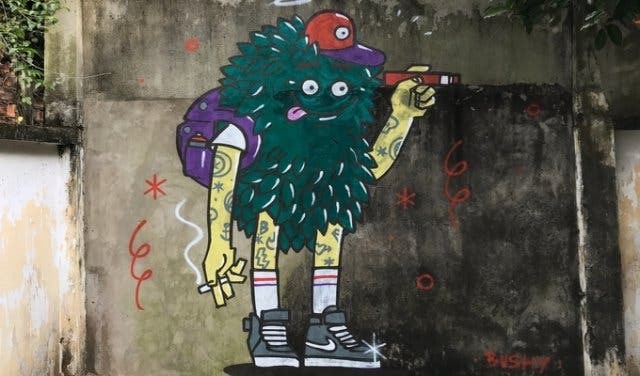 This Cape Town graffiti artist started painting at 14 as a way of staying out of trouble. His background in design and illustration influence his recent work. You’ll find this art piece in the streets of Woodstock. This London-based painter uses street art as a medium to promote the preservation of endangered animals. 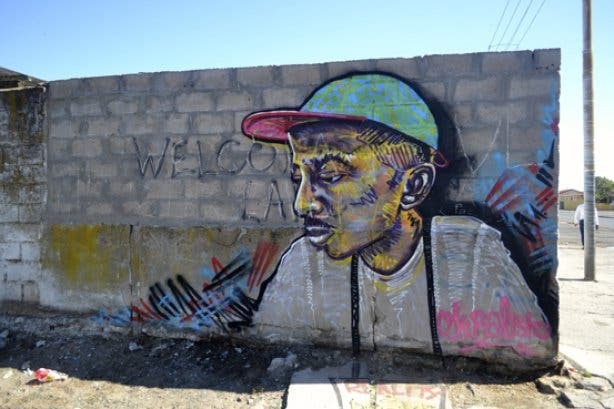 You can see his work around Woodstock and in Khayelitsha. This Joburg-born artist uses public murals to spark discussions on social issues that are faced by the community in which the mural is located. His murals can be found worldwide. The one featured is in Langa and is a portrait of Joe Slovo. Based in Cape Town, his work is influenced by different animation and cartoon styles. The contrast of the light-hearted cartoon style with heavy emotion is all about not taking himself and his work too seriously. This featured piece was done at Baphumelele Fountain of Hope in Philippi. A visual artist from France, he travels often to paint contemporary street art pieces, with his recognisable subject, the old sailor. This piece is on the walls of Salt River. The son of world-renowned street artist Faith 47 and legendary graffiti maestro Wealz 140, has his distinct murals all around Woodstock. He draws inspiration from cartoons, tattoos and music. The Joburg-born street artist uses animals as his subject, particularly highlighting endangered wildlife, and his pieces are absolute showstoppers. The one featured, “The Buitengracht Wolf” is in Bo Kaap. You might have seen her vibrant, abstract street art, with clean lines and symmetry, around Cape Town. Nardstar’s unique pieces are inspired by her admiration of the brazenness of graffiti. In this piece, the German artist exhibits a timeline of the Woodstock community’s history. It’s a visual representation of the diverse cultures that lived and continue to live in the area. 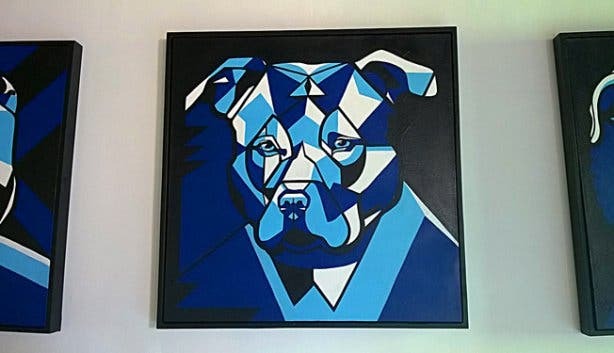 The Capetonian fine artist, whose style is using stamp techniques, painted this pixelated portrait of the homeowner whose wall was used, as part of the 2017 International Public Art Festival in Salt River. Australian-based painter Makatron uses his talents to highlight the idea of humanity versus nature. Walk through the streets of Woodstock and you’ll come across this striking mural. This piece of artwork, done as a collaboration by a group of artists, definitely stands out in the city. It’s hard to miss at the Youngblood Gallery On Bree Street. Check out our overview of Art Galleries in Cape Town or read up on some creative and inspiring people from Cape Town. This city is filled with local talent so check out our list of local designers. Go take a look at the vibey street artwork work outside Observatory's No Fixed Address restaurant.